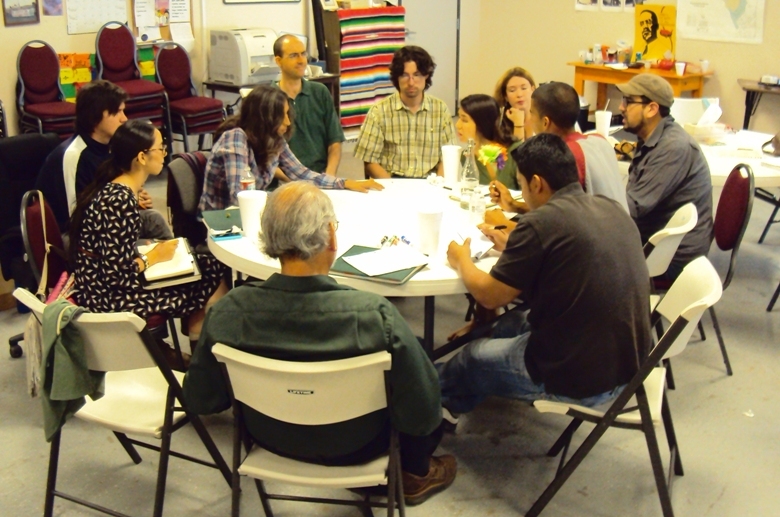 The Sonoran Permaculture Guild’s Teaching team travelled by Amtrak train to El Paso, Texas in August to give the first 72 hour Permaculture Design certification course ever held in this city of 700,000 people. 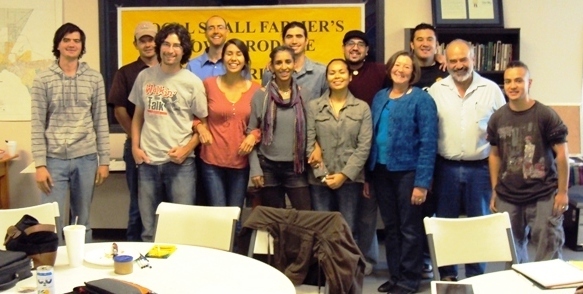 Seventeen enthusiasic participants graduated, ready to spread Permaculture in far West Texas. The class was held in a historic warehouse in the old garment district, now converted into offices, a cafeteria, a musuem, classrooms, and arts space by the non-profit La Mujer Obrera. 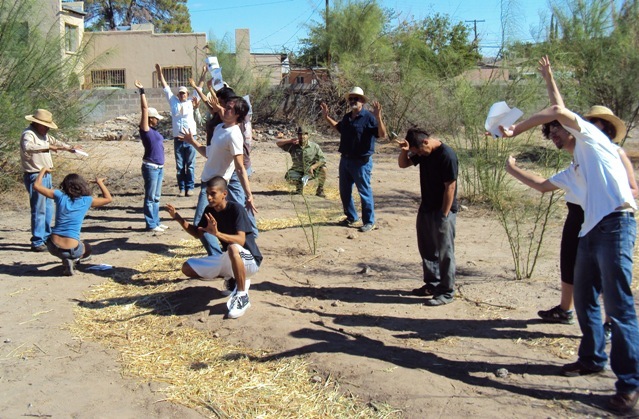 Each team in the course completed a design of a real world site at the La Mujer Obrera Urban Farm, and each individual presented a complete final design project. The course participants also constructed part of their group designs. 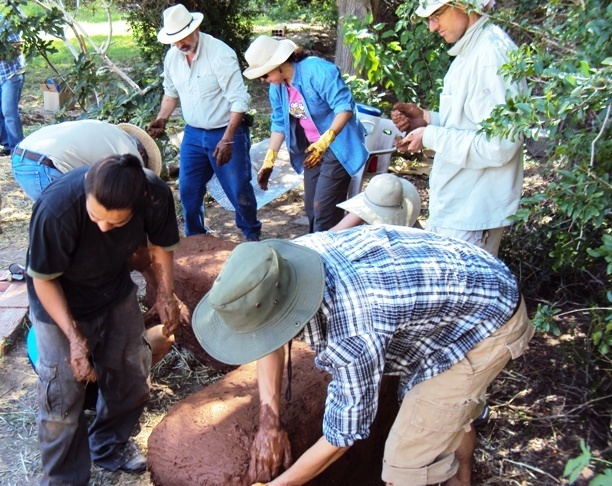 Our design team follows closely the curriculum developed by Bill Mollison and others for the 72 hour Permaculture Design course. Our teaching team members also emphasizs the use of patterned design templates that work well for designing and building in the real world.